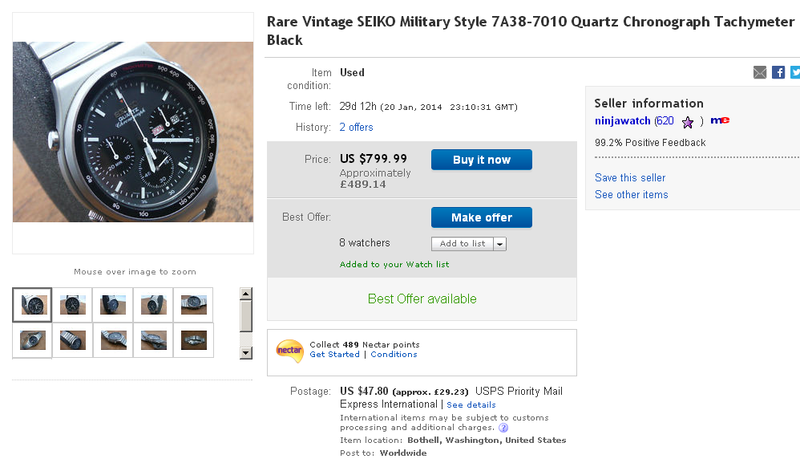 I'm not knowledgeable at all regarding Seiko watches, so I have no concept of what constitutes as a good deal. 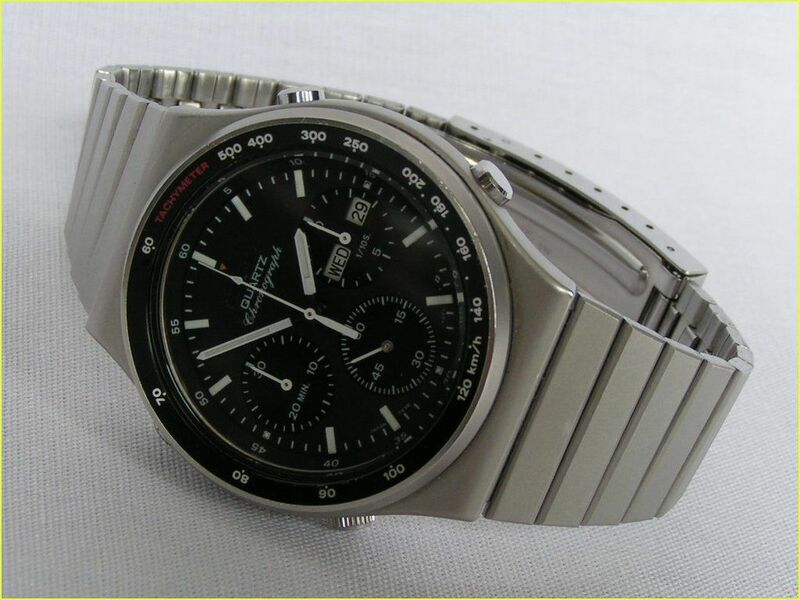 I've seen a 7A38-7010 model on ebay, which I like the look of (http://www.ebay.co.uk/itm/221337092231). I've read a few threads about this piece on this forum, and it's always managed to interest me, so now I've spotted one on ebay, I can't resist from taking a stab at it. 1) What's a good price? i.e. Is the current £150 bid a good price? 2) Are they rare or do they pop up often? 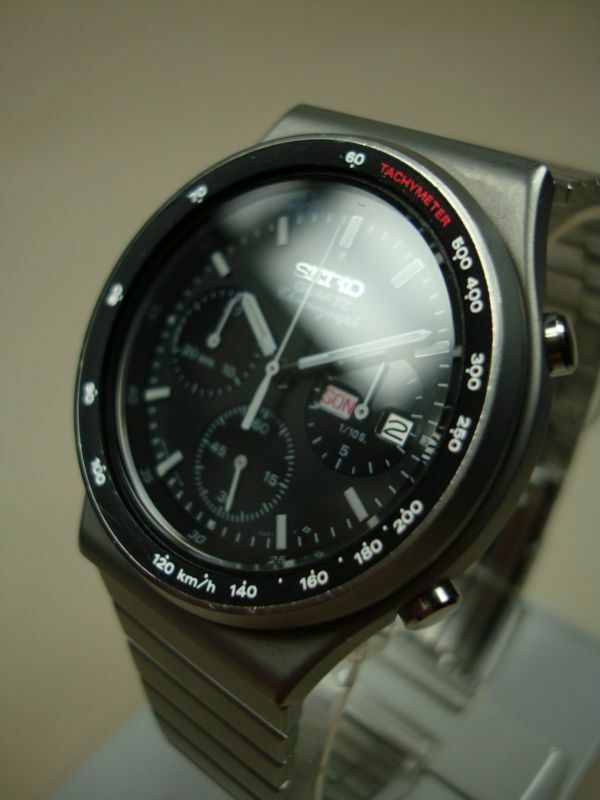 3) Is it actually a good watch? i.e. is it worth buying? 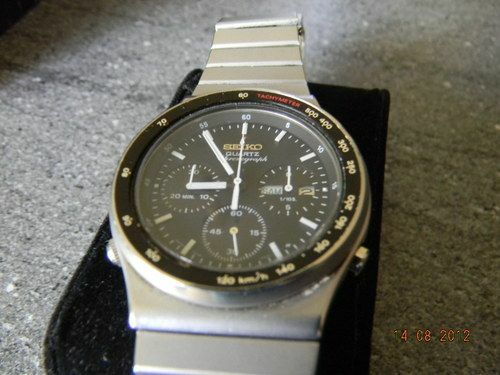 4) Is the one on ebay in good condition, or is it worth holding out for a better example? Yet another 7Axx on an undisclosed non-original bracelet .... I've mentioned that 7A38-7010 on Page 6. 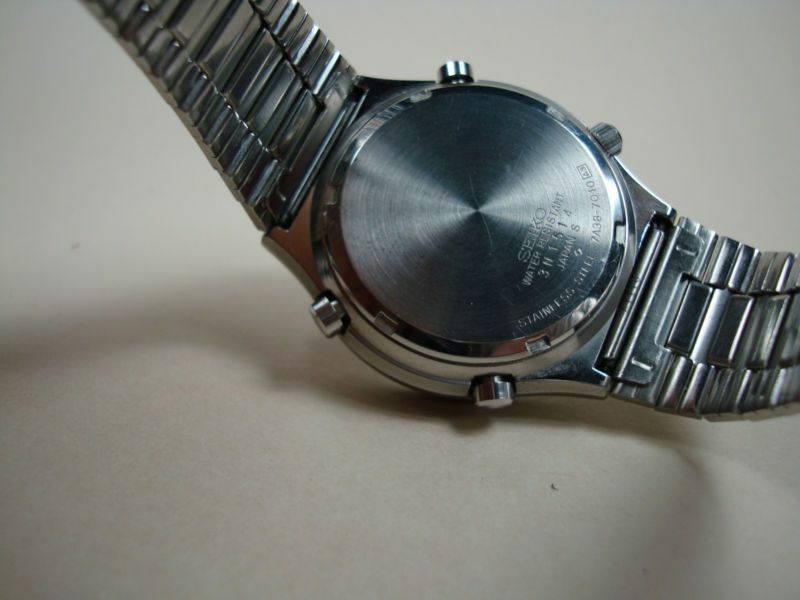 When looking for a 7A38-7010 the most important things to consider are the condition of the vulnerable bezel insert / inlay and the bracelet. 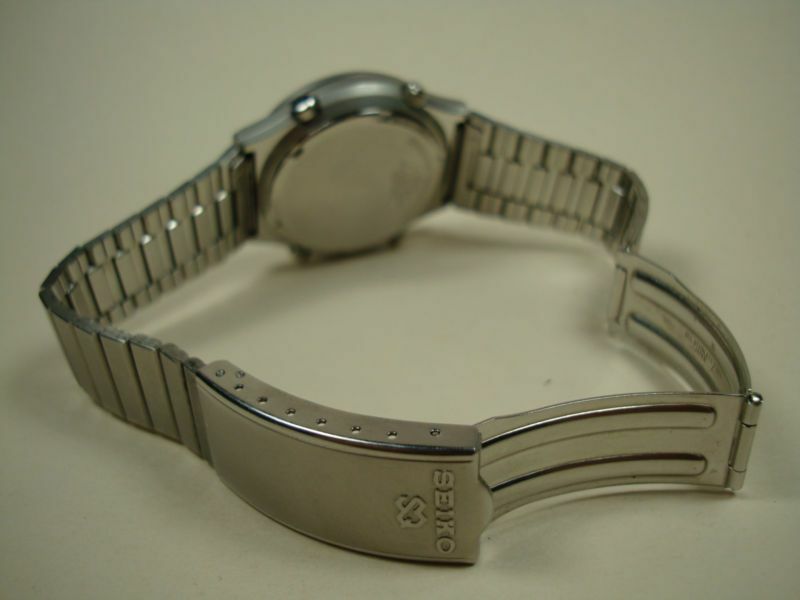 The original Seiko p/n Z1118S bracelet is typical Seiko mid-80's folded link construction and prone to stretching. 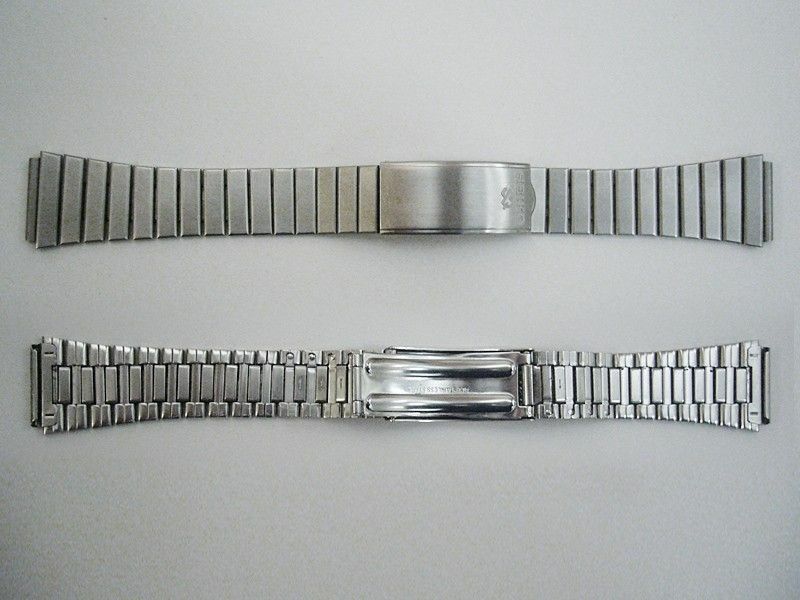 They'e almost impossible to find and the p/n B1424S and B1688S bracelets which are passable substitutes are nearly as scarce nowadays. 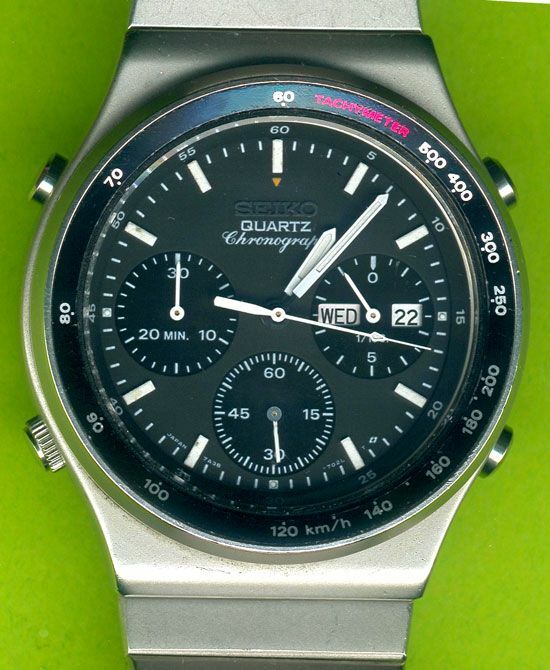 Not the best example, with plenty of graunch marks on the bezel inlay, but fitted with what appeared to be the original Z1118S bracelet. It sold for only 67 Euros in mid-November, but if you look at the seller's original photos, you'll see it had a couple of nasty scratches. Just looked at that eBay auction (221337092231) and saw that someone had bumped the original bidder as high as $300 already. I presume that was you ? Suggest you leave it at that. 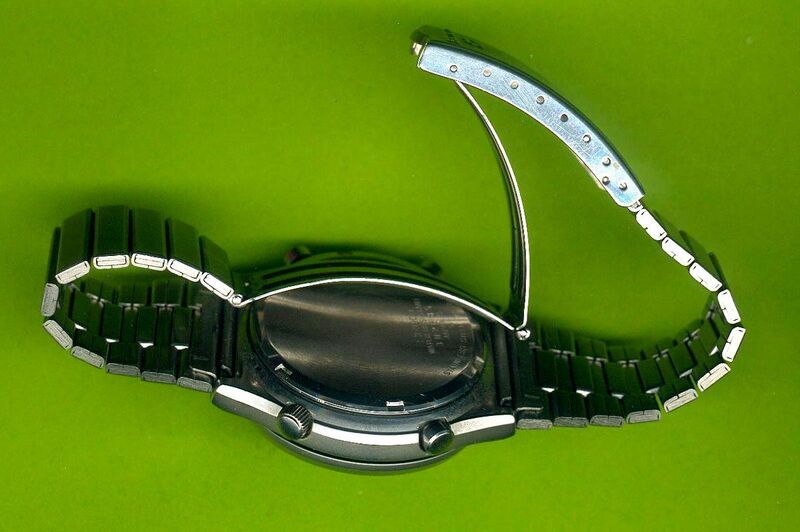 Better examples, with the correct original bracelet can be found cheaper. I just checked my records. O.K., it's going back a couple of years, but I paid 103 Euros for the one on the left and 180 for the other. 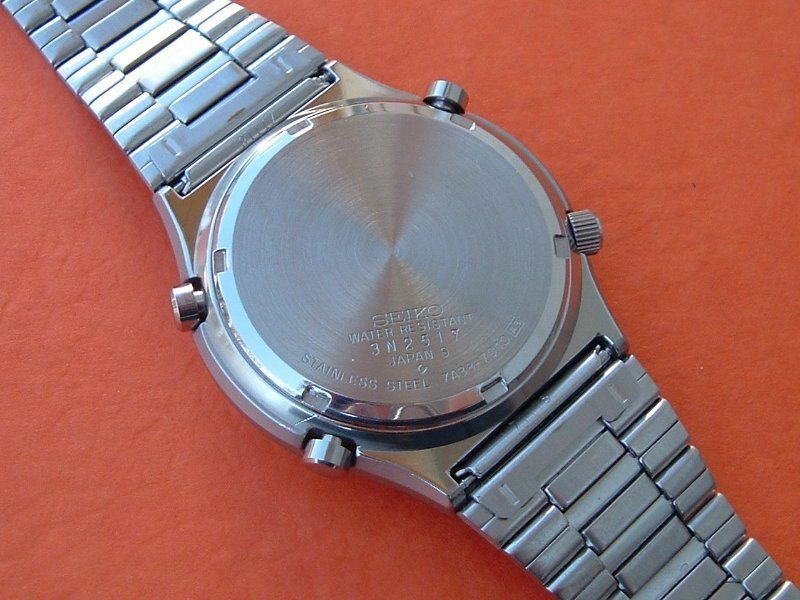 That's a stunning watch indeed. @ 'Collector'. If that is you (bidder 9***o, stacking up bids like they're going out of fashion) - Go ahead, ignore my advice. 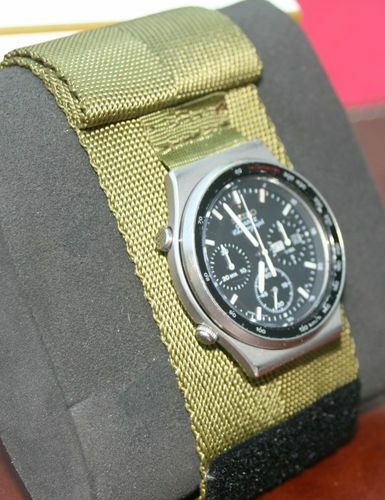 This watch won't work well with a one piece NATO - the hooded lug boxes are too tight and the spring bars will be placed under strain. I'm going to take your advice and hold out for a piece with all the original parts. I feel like ignoring your advice would put me in the same infuriating bracket as those amateurs' that ignore Sarah Beeny when she's giving out property development advice. Dear lord, that 'Military Look' is sickening! MY EYES! My poor eyes! That bidder 9***o may have been a shill, of course. 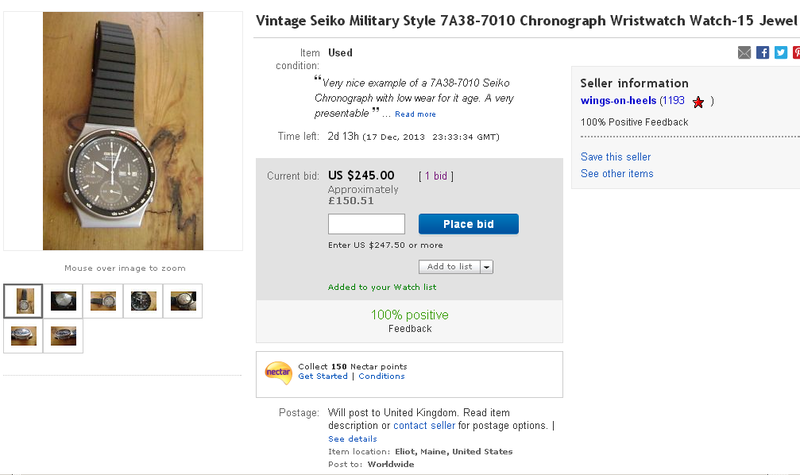 This watch is currently the only item they have placed (6) bids on recently. 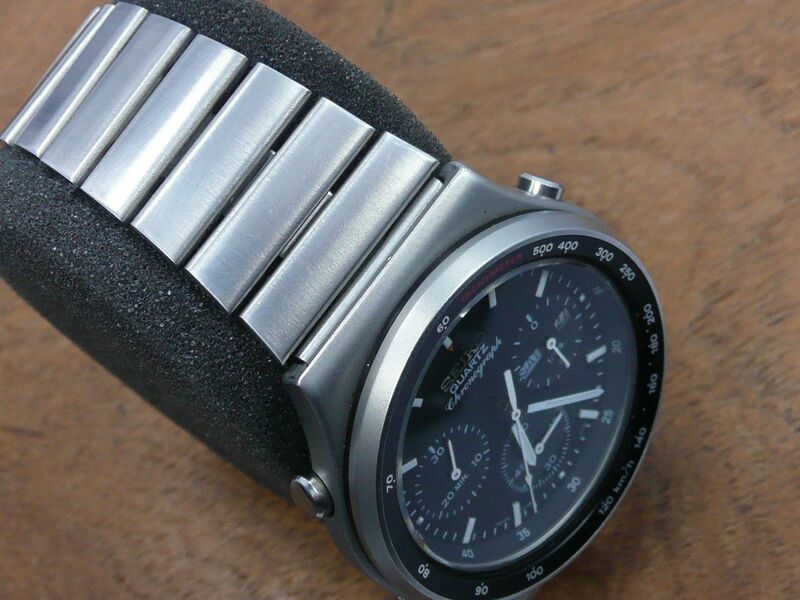 COMES WITH AN AFTER MARKET BLACK METAL BRACELET THAT SUITS THE WATCH VERY WELL. 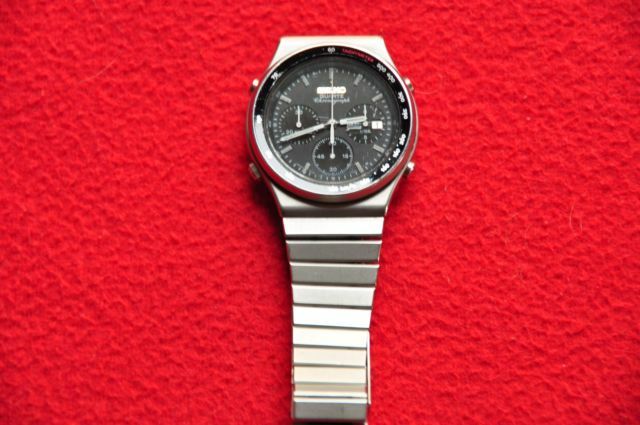 At the original opening bid price of $245 / £150 - presuming you had an original Seiko p/n Z1118S bracelet going spare, it might have made sense. 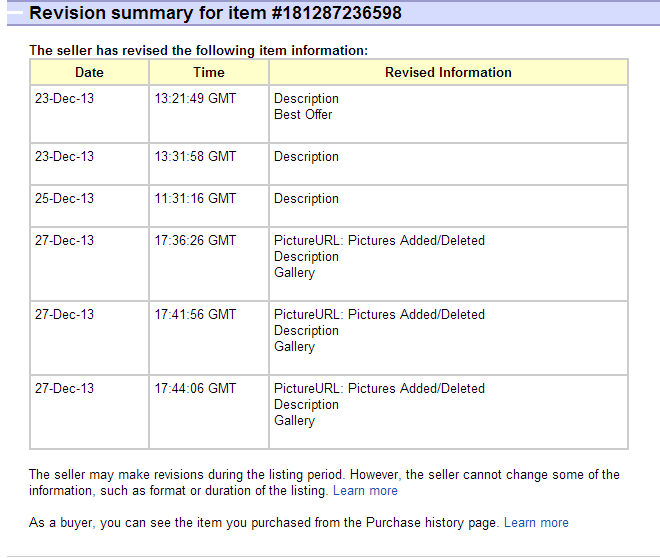 But not at the price where the bidding subsequently ended 3 days later - at $367 / £225. Well not in my book anyway. Now it's an even less attractive price. By a factor of almost 100%. 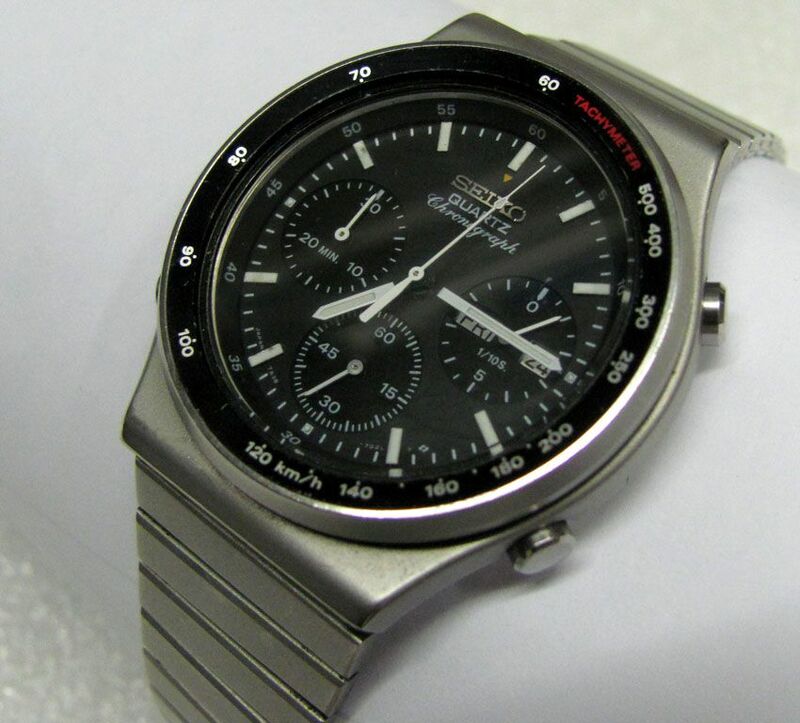 Because this 7A38-7010 listed overnight by a would-be profiteering US re-seller is one and the same watch, s/n 3N1815. 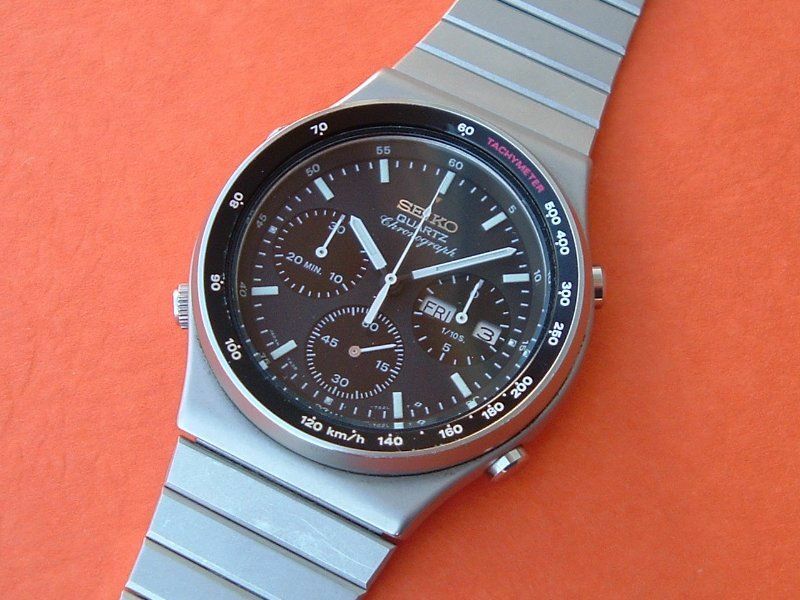 Rare Vintage SEIKO 7A38-7010 Chronograph from 1983. 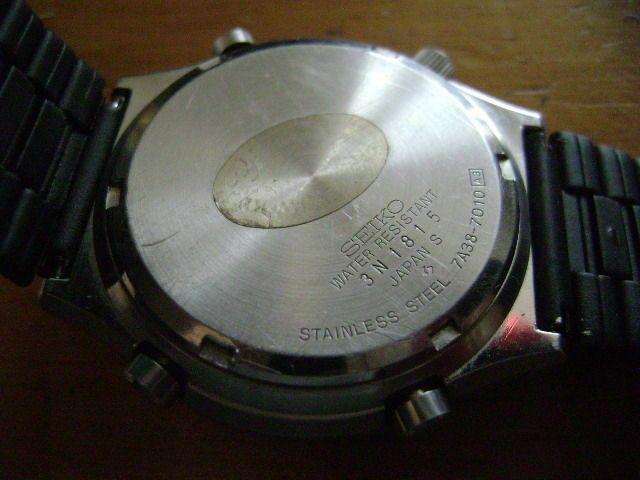 Watch is in excellent condition with minor marks. 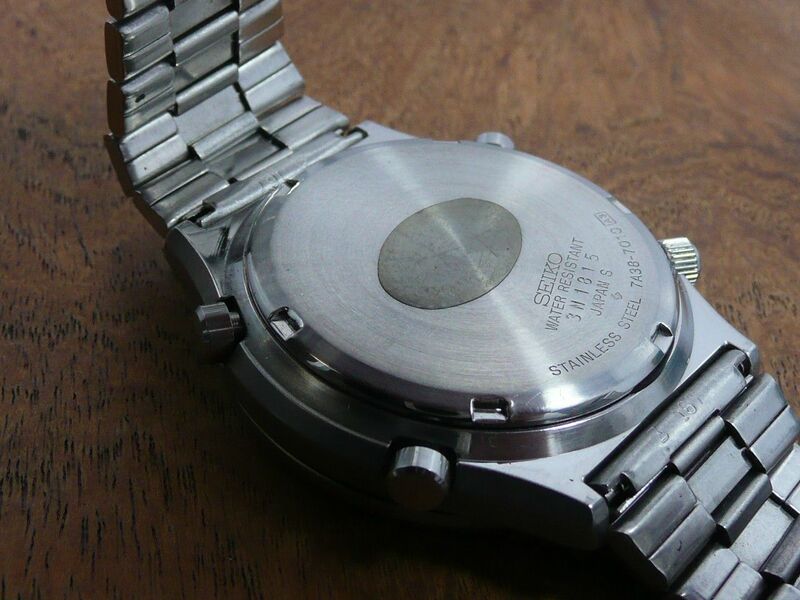 Quartz movement is running, and keeping time. Day/Date is English, and German. 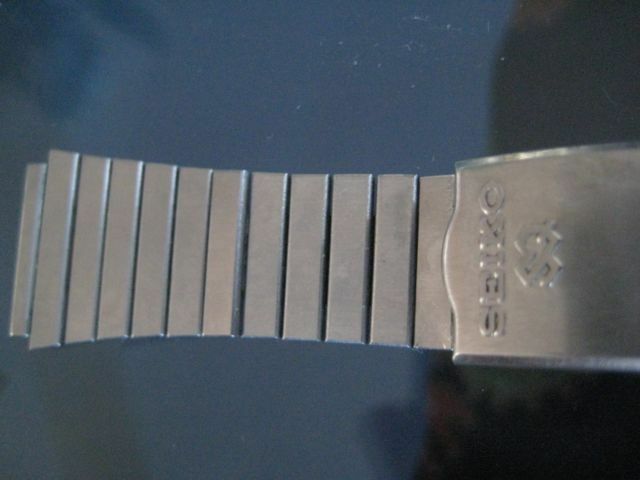 Buckle is marked "SEIKO SQ". 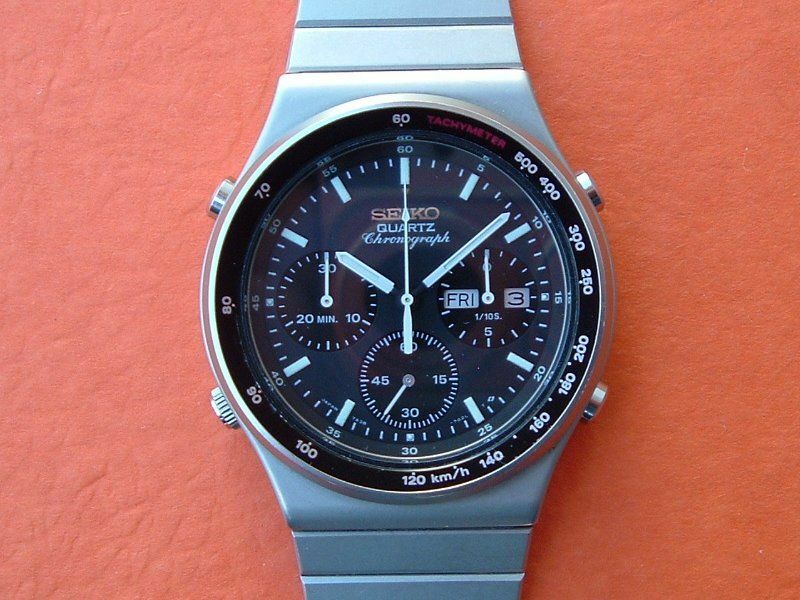 Chronograph starts, stops, and resets to zero. 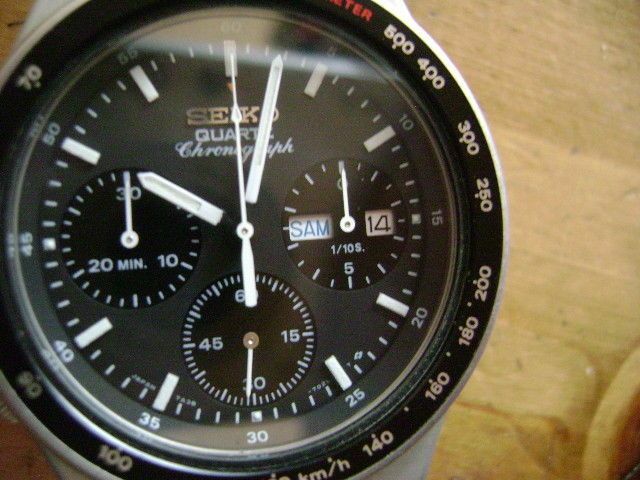 Dial is flat black with glossy sub dials. White hands and markers really pop against the black background. Case back is screw down and still has original oval sticker. Although the tired-looking stretched stainless bracelet this wise-A$$ would-be re-seller has fitted may look more like the original Seiko p/n Z1118S (well at least it's the right colour) - it isn't one; it's a much older p/n Z187, which has a brushed finish, not silver-anodised. 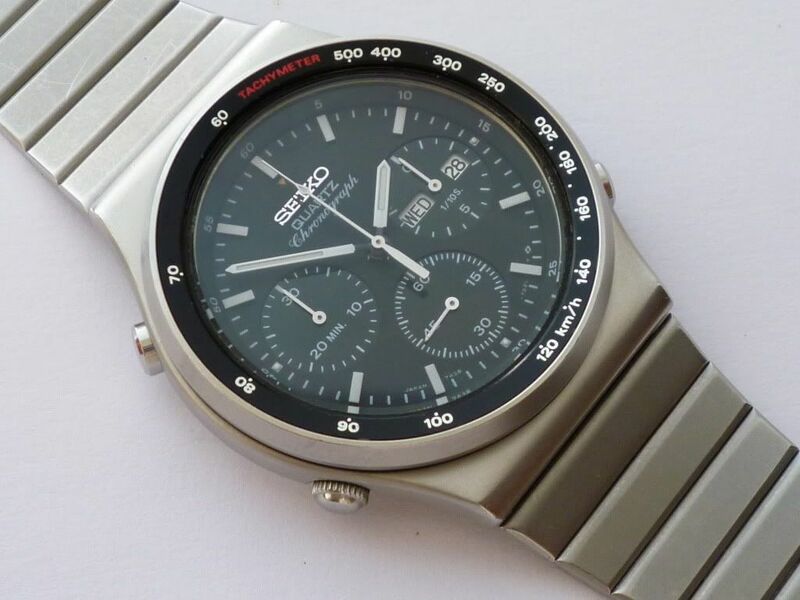 At the original opening bid price of $245 / £150 - presuming you had an original Seiko p/n Z1118S bracelet going spare, it might have made sense. 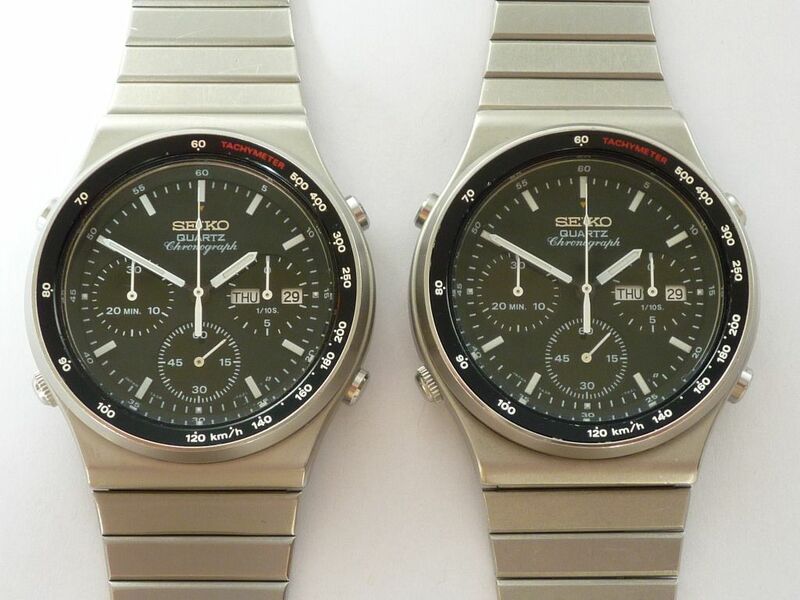 In terms of Seiko 7Axx rarity factor, the 7A38-7010 SAA001J is comparatively scarce: maybe a dozen or two eBay sightings per year - but they're much more commonly found than their 7A38-701A and 7A38-701B 'Vulcan' siblings. Think more like 10,000 produced. Well, we may have not had a model specific topic for the 7A38-7010 before, but this thread is rapidly turning into the makings of one. .... scroll back up the page - it's MINE !! No - it isn't for sale. Reassuring to know that the German seller SCAM ARTIST thinks it's worth double what I paid for it though. 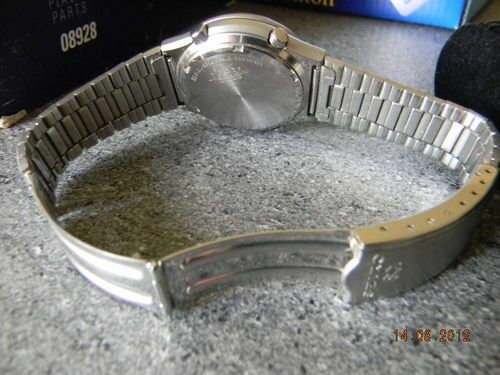 A clue that this fraudulent German seller may not actually have any such watch (let alone mine) in their possession is to be found in their own description: Tag / Datum ist Englisch (Day / Date is English). Like the majority (but not all) 7A38-7010's I've seen and owned, mine has an English / German day wheel. Jesus, this model seems to be fetching quite a premium at the moment! 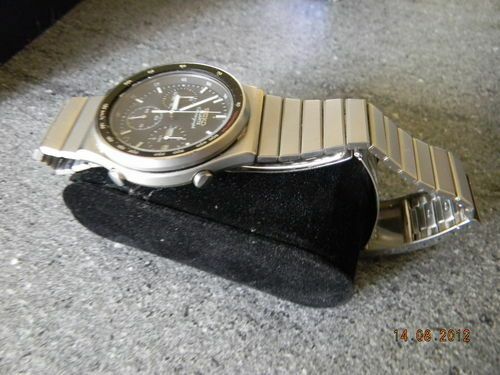 Seems that German eBay seller (allegedly a Ukranian female - Nadiia Kompanets) does have a 7A38-7010 of their own for sale. 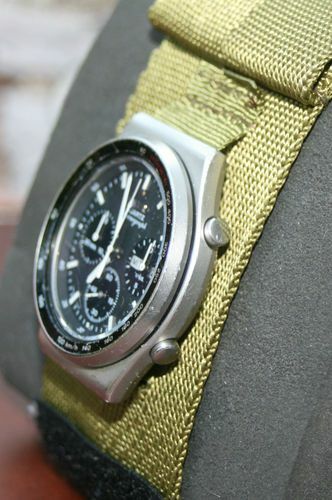 Oddly they've chosen not to use this one, preferring instead to keep the 'borrowed' photo of my watch as the primary image ! Surprising what an assertively worded email can achieve - in less than an hour. Doesn't look quite as good as mine, does it ? While we're on the subject of the 7A38-7010 and prices, I've been wracking my memory and ploughing back through eBay history to find the highest price a decent pukka example had sold for - in a no reserve auction, as opposed to a speculative Buy-it-Now price. 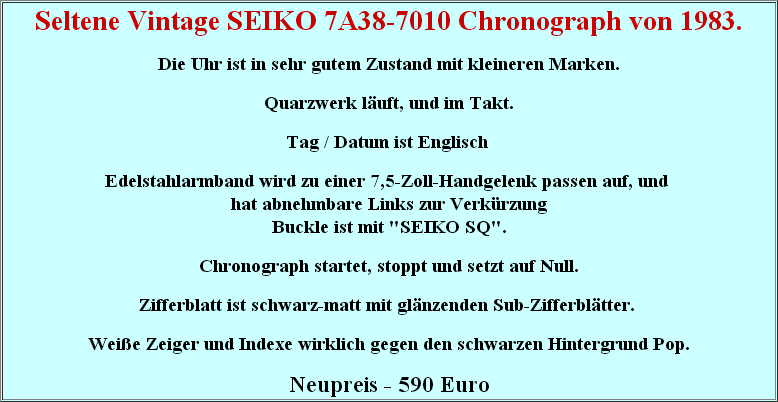 Chronograph Seiko 7A38 7010 Tri-Compax 90er - Top aus Sammlung! Kommt mit Originalband in Maximallänge!! 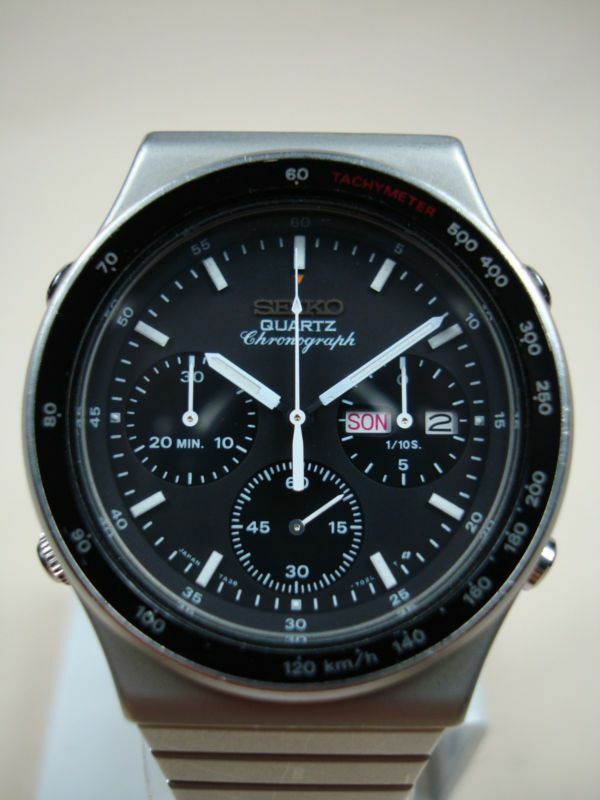 Seiko 7A38 Quartz Chronograph "RAR!!! 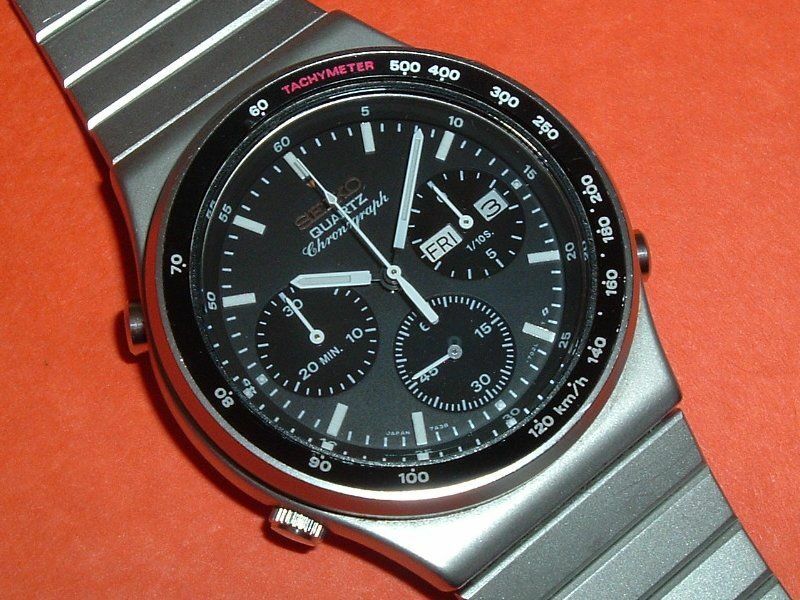 Seiko Chronograph mit integriertem Seiko-Armband. Die Uhr läuft einwandfrei. Gut erhalten. Privatverkauf, Keine Rücknahme, Keine Garantie ! Fragen werden schnell beantwortet ! Versand ins Ausland und andere Versandart auf Anfrage ! 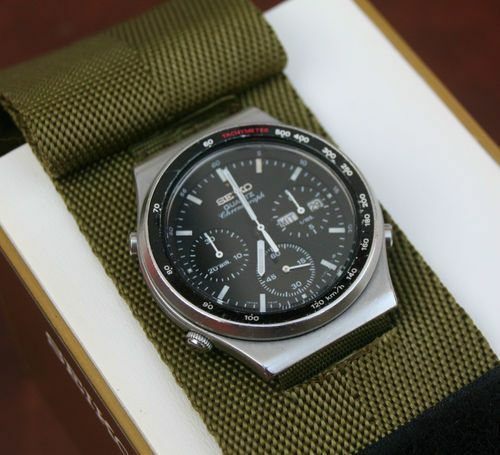 That 7A38-7010 sold for 255.50 Euros (approx. £213) after 27 bids - ending in a real snipe-fest !! 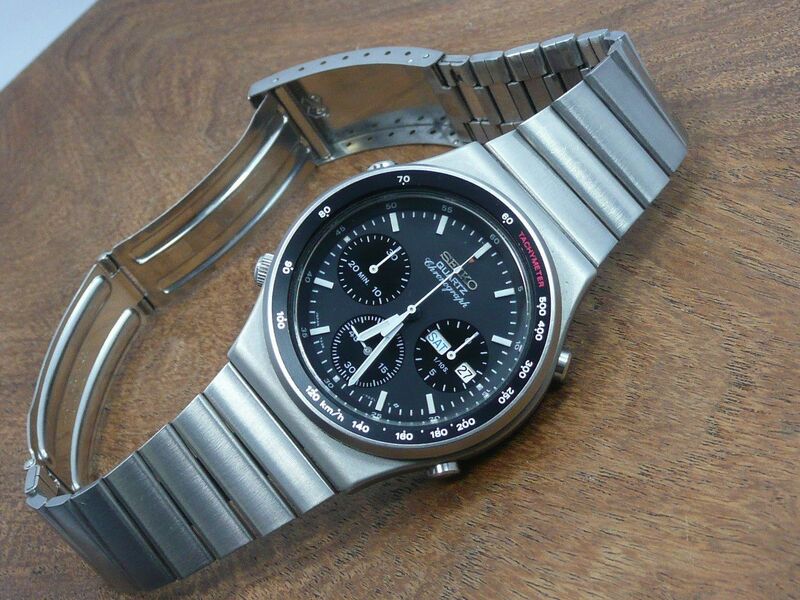 Would-be profiteering US eBay re-seller ninjawatch's 30 day listing for his 7A38-7010 (see my post of December 22) has just ended. Ninjawatch received a total of 4 offers; three on the first day from the same person: the highest of which $500, he'd have done well to accept. Instead, in a typically speculative greedy manner that's becoming all too familiar nowadays, he held out for more - in vain. 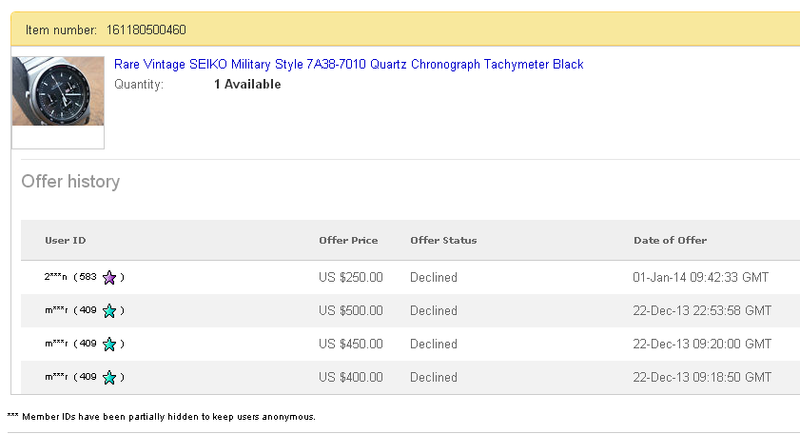 To my amusement, the other offer he received on January 1st was for $250 - $5 more than the price I reckoned the watch was worth ! 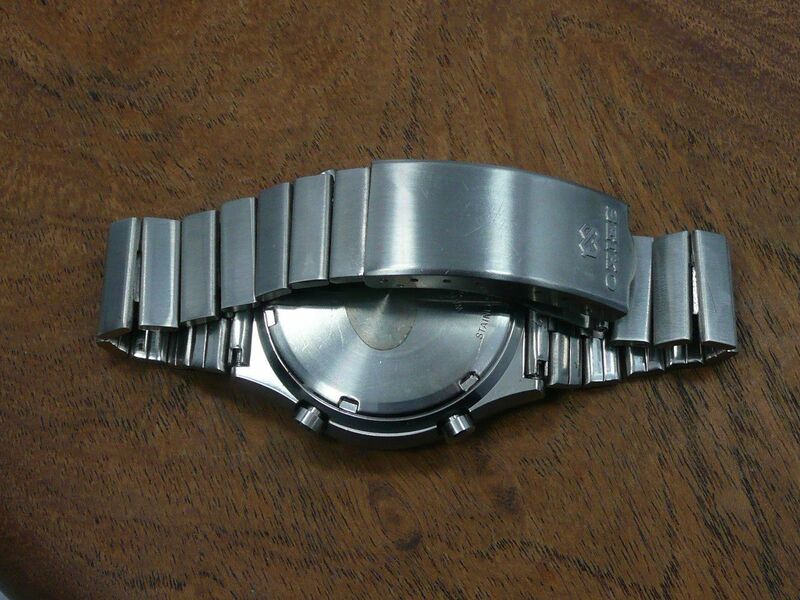 I'm sure that if I searched eBay I could come up with a knackered old 20mm Seiko SQ bracelet that looked the part for $5 in no time. 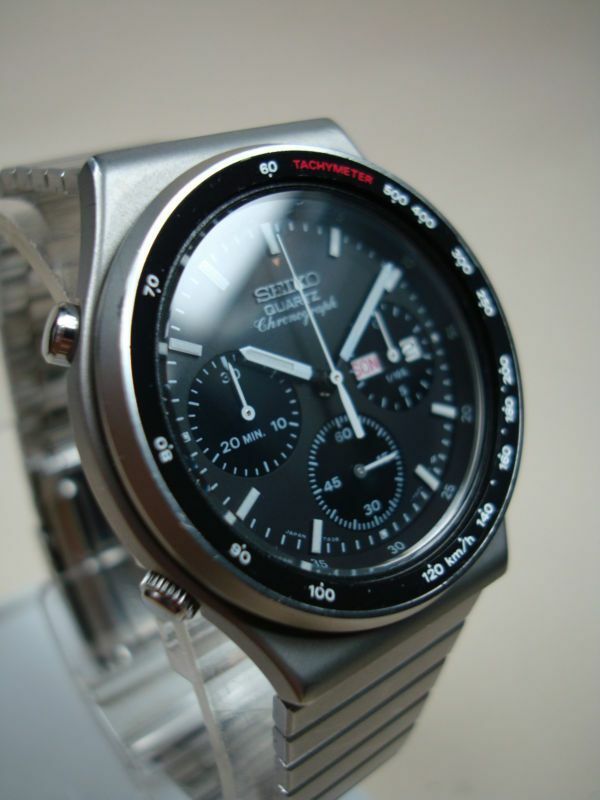 This topic, previously titled: 7A38-7010 - is this a good price? started by by 'Collector' in the eBay section will now become our 7A38-xxxx model specific topic. Not sure quite what he was referring to by 'I've read a few threads about this piece on this forum', but there certainly wasn't a dedicated one before. Those images came from his old Cox.net photo gallery, which has sadly long since disappeared into the ether. I right-clicked and saved those photos early in 2009, though I suspect Hung Pham's Cox.net photo gallery had existed as an invaluable point of reference for collectors and enthusiasts alike, for some time prior to that. But oddly enough, when I sorted my 7A38-7010 photo sub-folder into (oldest) date order, to help me find them easier, those weren't quite the very first images I had saved to it. 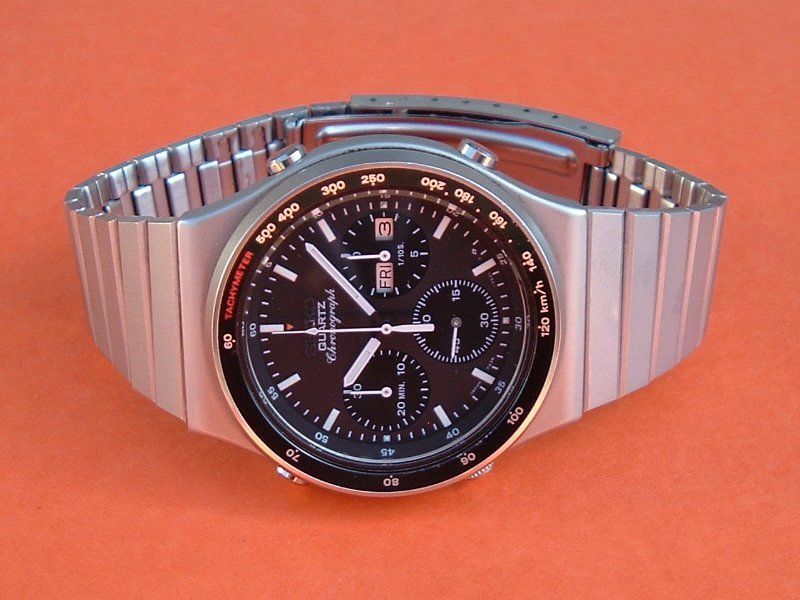 It is of course, the correct Seiko p/n Z118S bracelet as used on the 7A38-701A, 7A38-701B and 7A38-7010. If you know what these bracelets are for, then you'll grab them up (or something suchlike). At the time I didn't know - so I didn't. I've seen a couple more used / broken ones on eBay since, but never managed to buy one myself, let alone a NOS example. Thinking about what I might write here later on, I did a quick bit of searching on eBay this morning. Look what I came up with ! Close but no cigar, I'm afraid. The photo is a little deceptive. 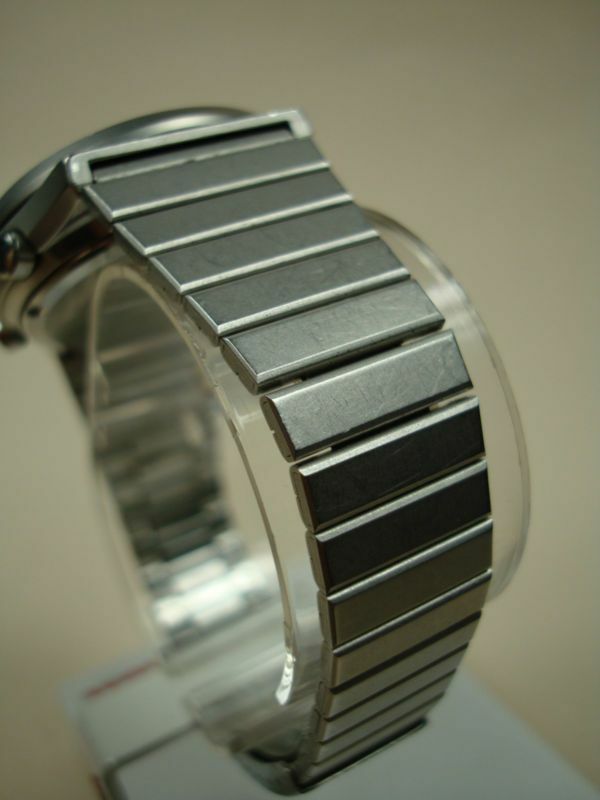 It's not actually a p/n Z1118S bracelet, but a p/n M1008S as used on the A714-5050 'Running Man'. 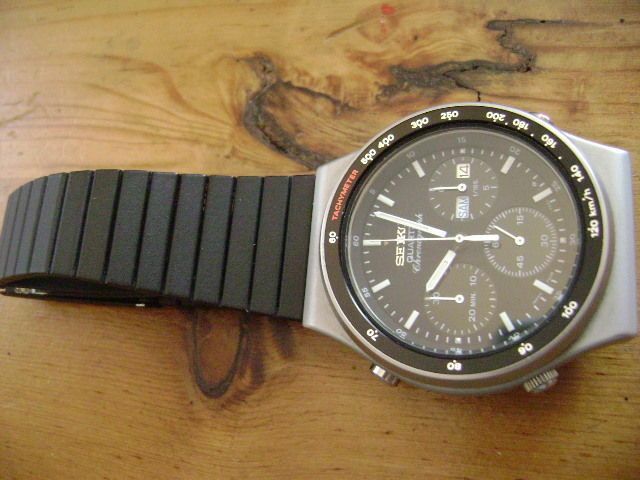 It's still a lot closer in appearance to the original bracelet than the Z187 fitted by Ninjawatch. $5 gets you the eBay item number. 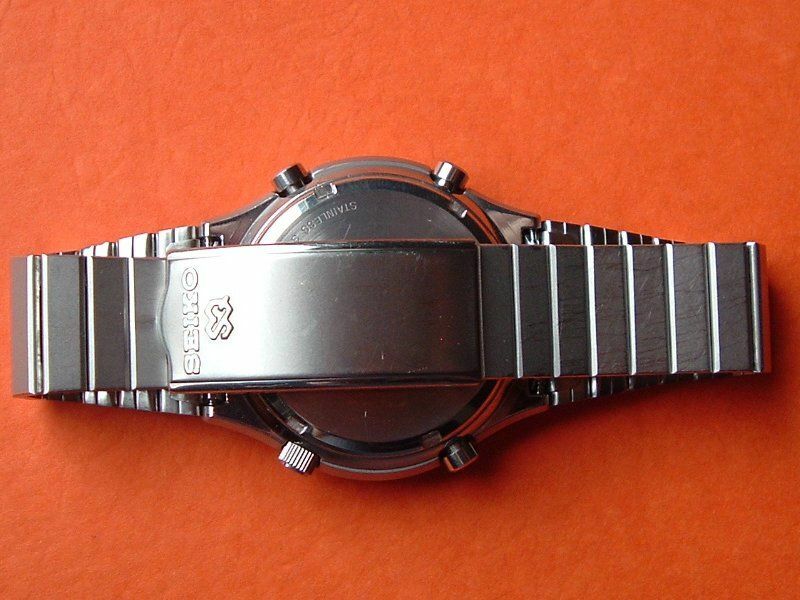 German eBay seller Ammoreta's 30-day listing for her 7A38-7010 by was due to end some time today, although I can't now remember exactly what time. I just looked at the ended listing and someone appears to have made her a last minute offer, which she accepted. that offer would appear to have been for 300 Euros against her 390 Euros Buy-it-Now price, so she did very well to accept it.